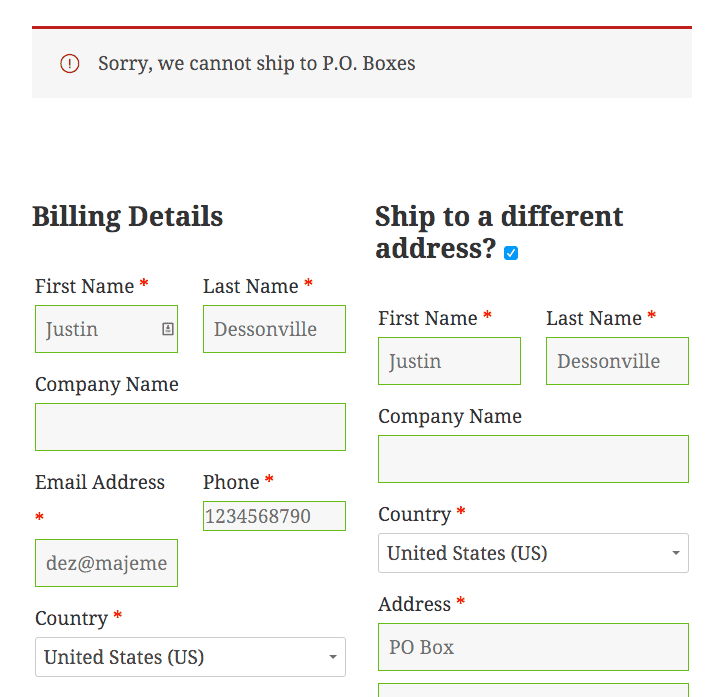 The WooCommerce No PO Boxes Plugin restricts the use of PO Boxes during WooCommerce checkout. 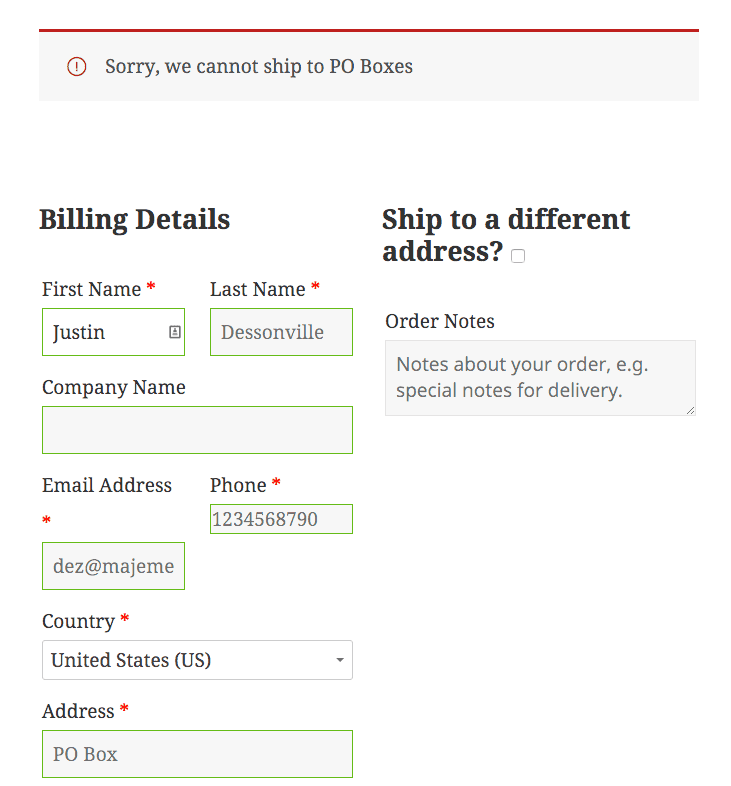 It contains a configurable message to display when a PO Box is attempted to be used. Will not limit the use of PO Boxes for carts that only contain digital products. * restricted from P.O. Box shipping. * to a shipping method that would normally allow it. * checkout process from continuing. 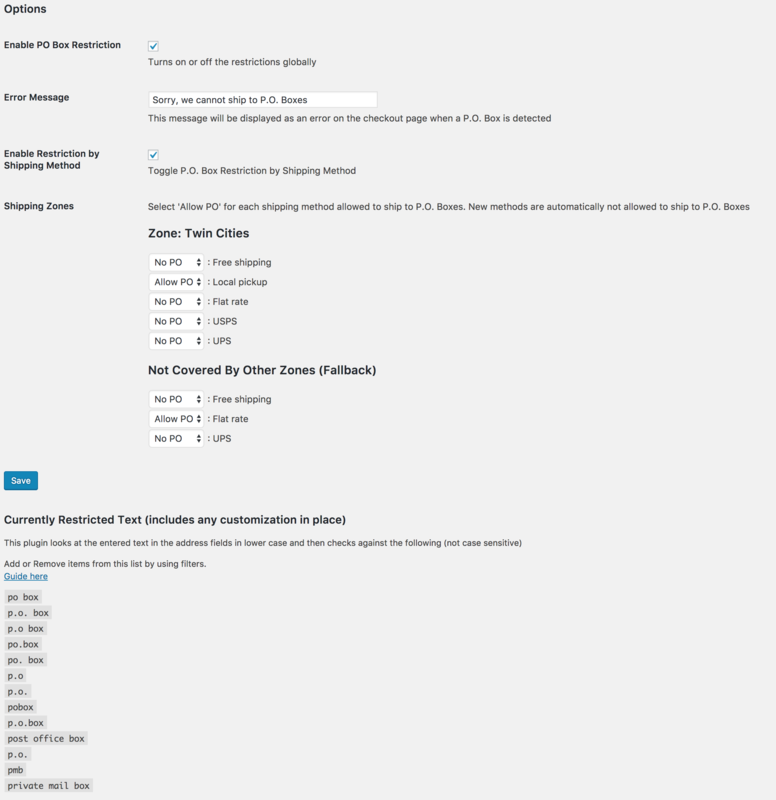 // (DEFAULT) Set $allow_po_box to FALSE to disallow a P.O. Box from being shipped to. 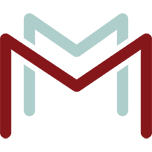 // use $restricted_string to customize $message based on different conditions. * You'll need to modify this example function since a number of different filtering options are being used. unset( $words[ 0 ] ); // unsets "po box"